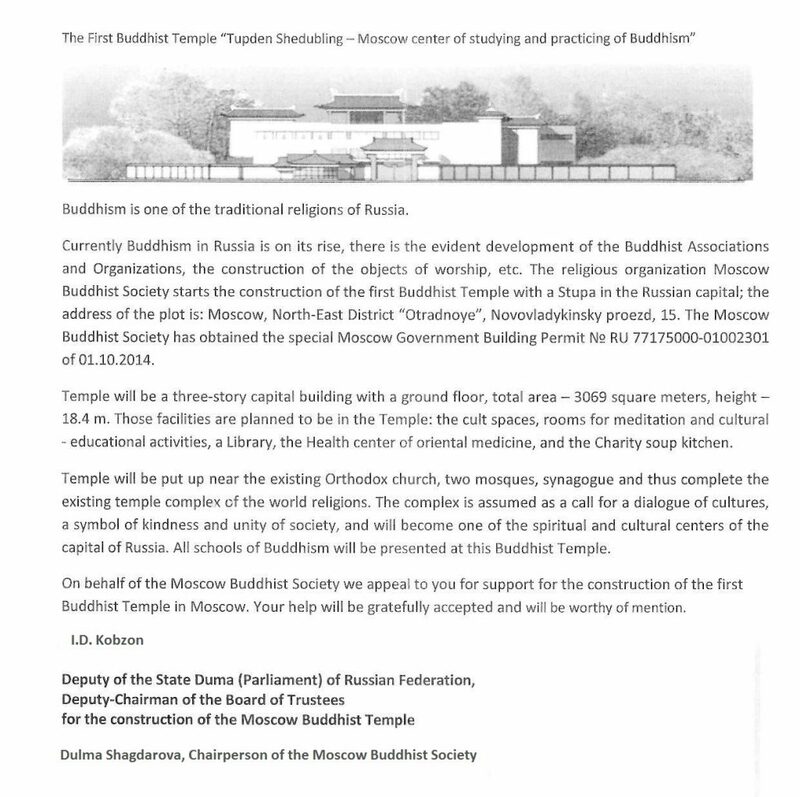 All funds for development and approvals of the engineering and permission documentation have been collected by sponsors of the Moscow Buddhist Society as well as due to the donations made by the people who care about the future of this unique project, implementation of which shall add to the image of Moscow being the multinational and multiconfessional capital of Russia. Making donation, please consider to write your Name or a Title of your organisation to register it in the Memorial Donation book, which will reflect all the historical progress of the Temple Construction. The information about Your donation will be regular marked on the web-site of the Project. If you have any questions, pease do not hesitate to contact us: +7 495 740 62 39. THE MOSCOW BUDDHIST SOCIETY IS GRATEFUL TO THOSE PEOPLE WHO SUPPORT THE PROJECT!